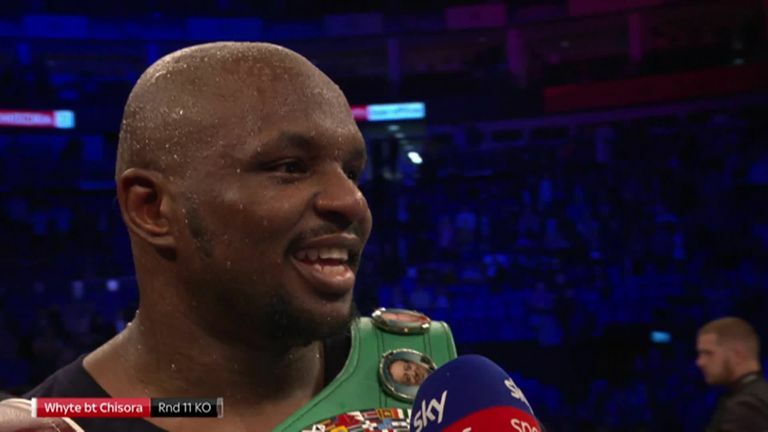 The unified world heavyweight champion was watching from ringside as Whyte unloaded a huge left hook to stop Chisora in the 11th round of their rematch at The O2. And Froch believes Joshua now recognises that Whyte could threaten his unbeaten record and world titles, if confirmed as his next opponent for Wembley on April 13. 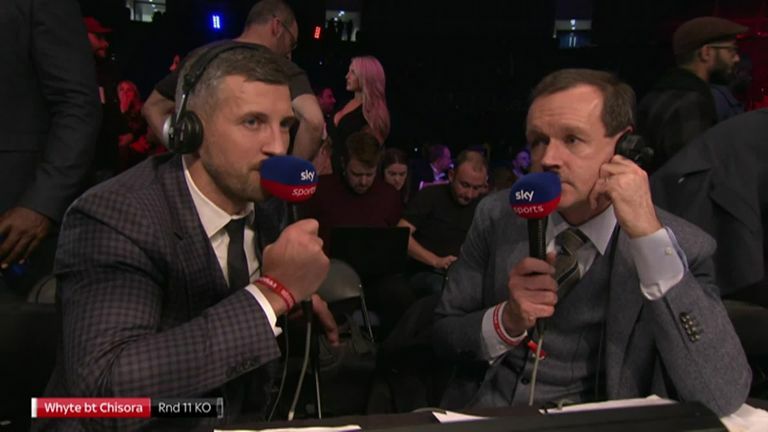 "That finish from Whyte there, nothing against Chisora, but that's what we needed to see," Froch told Sky Sports Box Office. "It needed to be conclusive, that's what I'm getting at, and we got our ending there. Asked if Whyte will receive a world title fight, Froch said: "Yeah I think he will also, but with a performance like that, you can't say he's just beat a Chisora of old, because that was probably the best but last we're going to see of Chisora. Anthony Joshua was sitting there, looking at that closely, and he realises that Dillian Whyte is really a stiff test for him. "I've never seen Chisora so motivated, so fuelled up, so fit and intense for that long. That really was a great performance. "Anthony Joshua was sitting there, looking at that closely, and he realises that Dillian Whyte is really a stiff test for him." 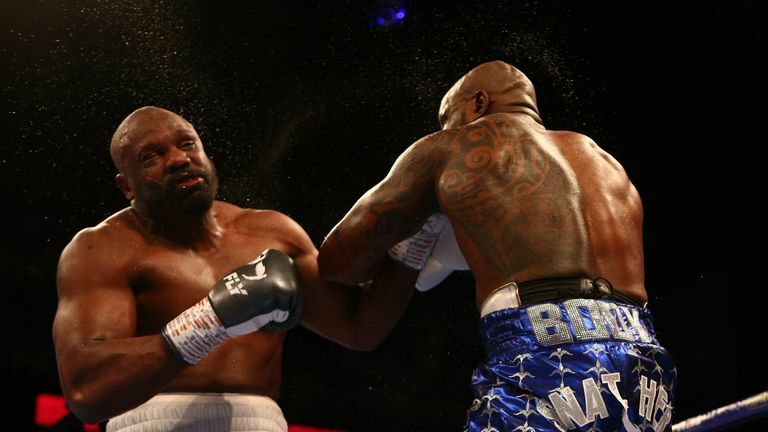 Chisora was leading by two rounds on two of the scorecards, while Whyte was ahead by one round on the other, and Froch was glad to avoid any further controversy after the Brixton man's split decision win in 2016. "That's exactly what we would have not have needed," said Froch. "Anything controversial in a rematch. "The first one was close, I had Chisora winning by a round. I had Whyte ahead there, especially with the points deduction from the referee, but it would have been close, maybe controversial. "A finish like that is what people are going to remember."